8 Additional Gas Lines for 4 More Fuel Cells! Highest Quality Humidification Capacity! Automatic or Manual Operation! 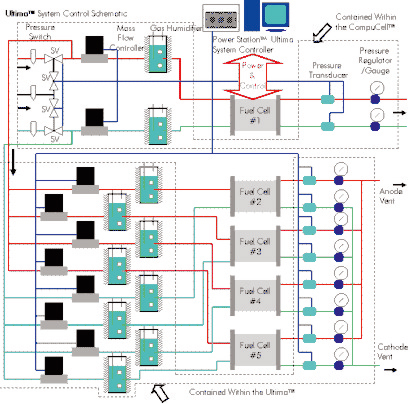 The Ultima™ gas management unit multiplies the power of the Power Station™ to enable fuel cell and electrochemical testing to an efficient level. Designed for PEM, alkaline, and phosphoric acid fuel cells, it provides added capacity for 4 more single cells and fuel cell stacks. For those faced with extensive fuel cell testing requirements, there is no more advanced system, and no safer system for unattended operation. Only sold with the PS-Ultima™ System Controller. 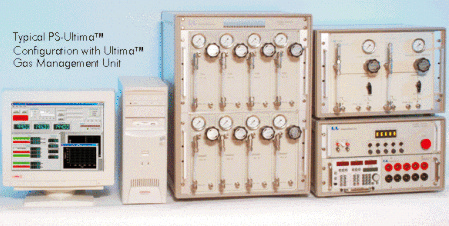 Humidifiers (each) 100% saturation at 75°C for Input Gas Flow of 2000 ml/min. 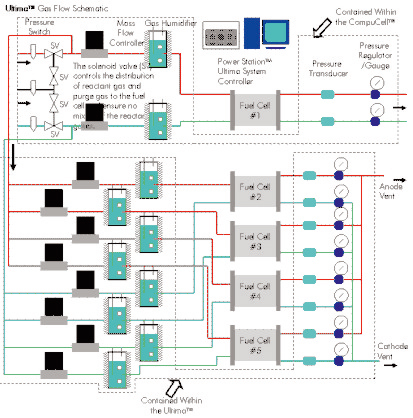 *The Ultima™Gas Management Unit is designed to operate in conjunction with the CompuCell™Gas Management Unit. 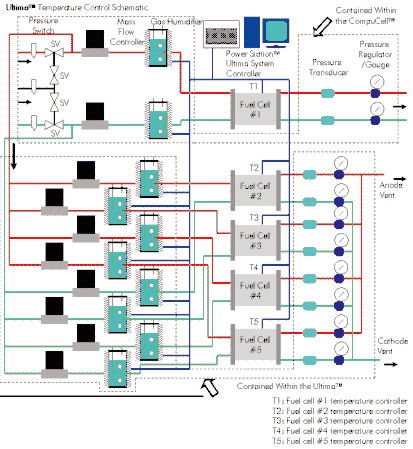 Detailed Specifications on the CompuCell™are provided in separate literature available from ElectroChem. Please consult these documents for more complete information about the CompuCell™.